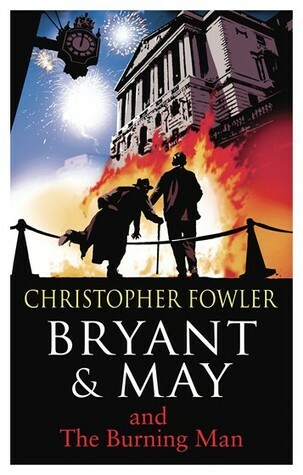 Last Thursday (26th March), the latest instalment of Christopher Fowler’s Bryant & May series was released. The Burning Man continues the incredibly popular crime series starring John May and Arthur Bryant – a pair of brilliant but aging detectives who run the Peculiar Crimes Unit in London. Right, I am a complete newbie to your Bryant & May series so I’m curious about EVERYTHING! Firstly, what are your 3 favourite things about your main characters Arthur Bryant and John May? I like the fact that their age is a passport to opening doors. I like the way they disagree all the time but find a way to agree, the way you do with your oldest friend. And I like the fact that they can get away with doing shocking things because people respect them for being ‘bad old boys’. My father was a scientist who worked in an experimental wartime communications unit, very much like the PCU. He and his colleagues were very young, and were working towards a discovery that later changed the world. The full story is told in my memoir ‘Paperboy’, which he sadly didn’t live to read. Is crime a favourite genre for you to write? I know you have written lots of different things over the years – do you have favourites or just enjoy mixing it up? I send PRs crazy constantly changing what I write – I’m just about to have my first SF story published – so yes, you could say I love mixing it! But crime is fun because it’s problem solving, and that’s very satisfying. There’s a lovely quote from Barnes Wallis, the inventor of the bouncing bomb, who said ‘There is nothing more satisfying than showing that something is impossible, then proving how it can be done.’ That was what interested me about crime writing from an early age. The Bryant & May books are set in London – is it a London we will recognise or has it been changed for the books? I think there’s a lot that’s very recognisable, not just in buildings and streets but in atmosphere. London‘s pace of change accelerates but we remain Londoners, because London is a spiritual state. We don’t make London, London makes us. We’ve only been here for 5 minutes before we’re standing our ground while apologizing for being in the way. Everyone recognises that. I am really looking forward to reading The Burning Man and I really love the front cover – is it hard deciding what to put on the front of a book? Do you have it visualised in your head when you are writing it or does someone else help you come up with the ideas? I lucked out with illustrator David Frankland, who catches the tone exactly – I’m not a huge fan of the US covers mainly because they have less weight. I usually suggest an idea or two to David, and then get out of the way fast. He’s come up with the right image every time so far. That’s handy! Must have been such a relief to find someone so attuned to your books. It sounds like there are going to be a fair few fireworks in The Burning Man – what lured you into the idea of using fire as a theme? That was because I live in a flat in King’s Cross, and every November, between Guy Fawkes Night and Diwali it seems like the entire city is playing with fire. I also thought of fire as a cleansing spirit, which is how it’s used in the book’s murders…and I’ve done a water novel; ‘The Water Room’. Finally, just for fun, if you were going to a dinner party and could have any three fictional characters there as well, who would you choose? And what would be on the dessert menu? I would choose Gladys Mitchell’s Mrs Brady, the most underrated female detective of them all, Lyra from ‘The Amber Spyglass’ because I like strong girls who know their minds, and Gervase Fen, the very funny lecturer/detective from Edmund Crispin’s wonderful murder mysteries. And as I don’t do dessert, we’d have the cheeseboard and a lot more wine! I like the sound of that dessert – Thank you, Christopher! Many thanks to Christopher Fowler for the interview and also to Sophie at Transworld Books for inviting me to join in The Burning Man Blog Tour. 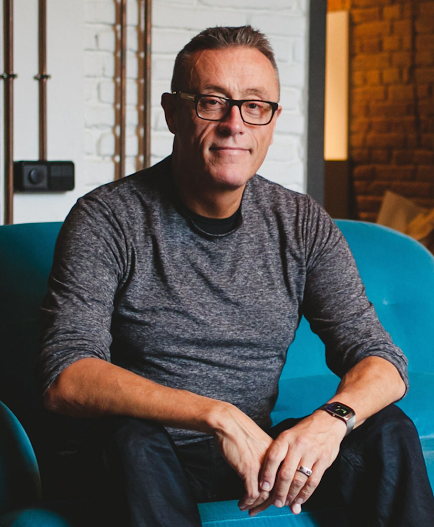 If you want to know more why not head over to Christopher’s own blog or follow him on Twitter to keep up to date.